CONSELF | y+: what is it and how can I use it? y+: what is it and how can I use it? 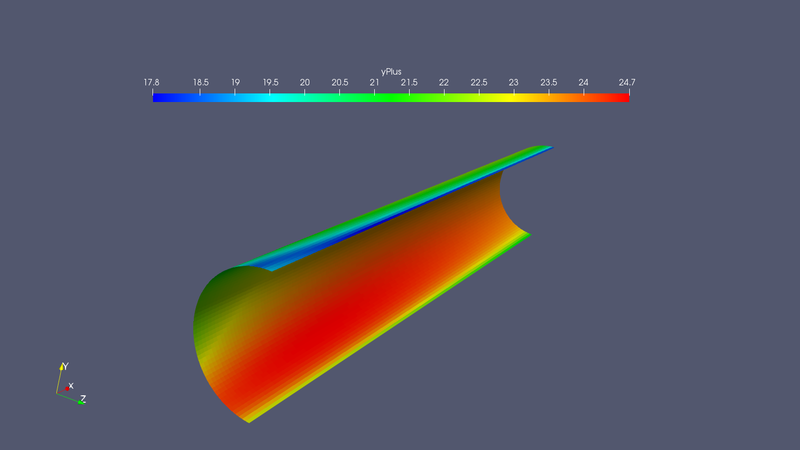 Home > CFD / Computational Fluid Dynamics > y+: what is it and how can I use it? 18 Jul y+: what is it and how can I use it? It’s easy to note that the y+ value obtained actually depends on three type of data: geometry (distance), velocity and fluid type. Only after the simulation is completed all these three type of data are available and CONSELF (or in general a CFD software) calculates the y+ distribution and report it as a results to visualise. Only during the Results step is possible for the user to verify the calculated y+ actually is enclosed within the prescribed ranges for the used turbulence model. Now the most important question: if we are not within the range values, what can a user do to fix everything? Well the answer is quite simple: given the three types of data influencing the y+ calculation, the user can only act on the geometry of the problem. CONSELF gives a complete control of the first wall cell height (during the mesh phase) where it is possible to increase/decrease the accuracy of the boundary layer. 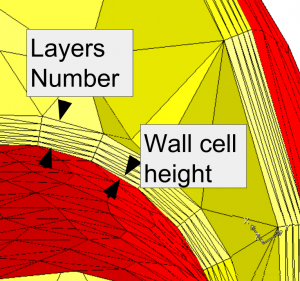 Obviously everything said in this post is very practical and there is no a complete theoretical description of the problem, but CONSELF is confident these information can be helpful and guide you into the difficult task of obtaining high quality CFD results. CONSELF wants to make state of the art, cutting edge technology, available to every professional in the globe. 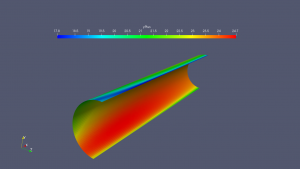 CFD and FEM simulation software is a very powerful tool, with its adoption optimization and innovation can be achieved in every field. To make this instrument accessible to everyone means lowering costs, but mainly to develop an infrastructure that favours a super-easy adoption by market new entrants. CONSELF is highly committed and will pursue this goal working side by side with professional and industries to define the best strategies and solutions. There is one more important thing, which is near wall modelling. There are few near wall models that have been updated to take care of the CFD calculations with lesser constraints on y+ value. For example Scalable wall functions, Enhance wall functions etc. Of course these models have their own applicability and limitations, but it is important for predicting y+ values. Hi Maqsood, you are absolutely right. Scalable wall functions are for sure a great enhancement which almost makes this limitations redundant. To be precise, we are presenting a great work, together with one industrial partner, about scalable wall functions in CAECONFERENCE. If you want, once we publish the paper I can forward you the details! © 2019 CONSELF. All Rights Reserved.